From the moment you walk into the Symphony of Hanover Park, you will feel as if you are in a five-star resort. 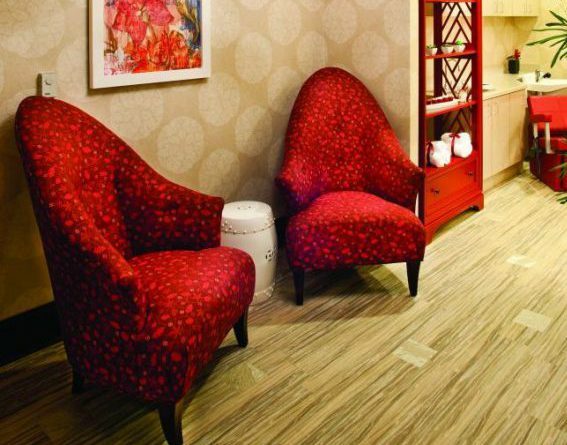 Our tranquil and serene environment ensures the utmost comfort for our guests, whether they live here or are here to recover and get back home. 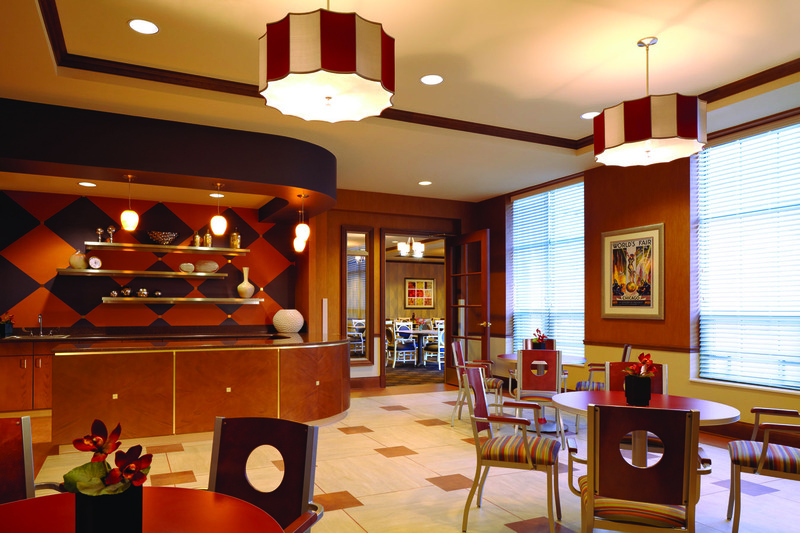 Our dining selections accommodate a variety of cultural and nutritional needs. An executive chef-prepared menu, room service and spacious dining rooms are available for guests and their extended families. 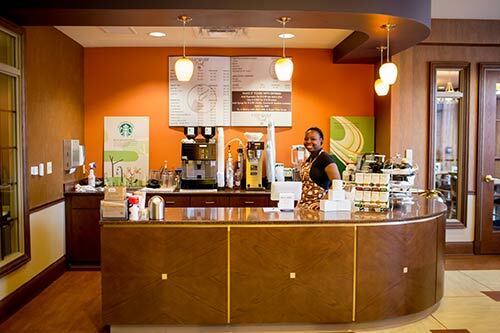 Hanover Park Perk, located on the first floor, is open from 8:30am – 5pm daily and proudly brews Starbucks coffee and serves pastries and snacks.